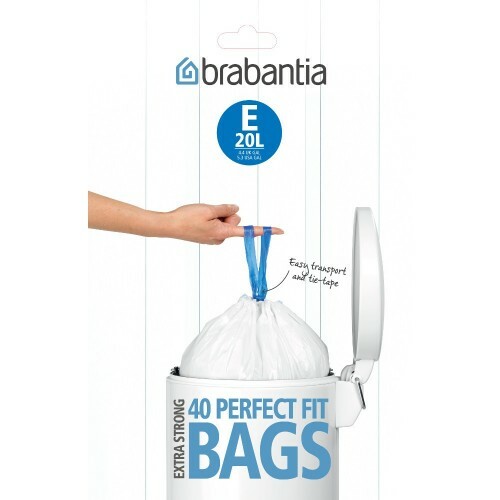 Brabantia bin liner bags are precisely tailored to fit your Brabantia waste bin with no ugly overwrap. Easy to insert neatly and remove quickly. 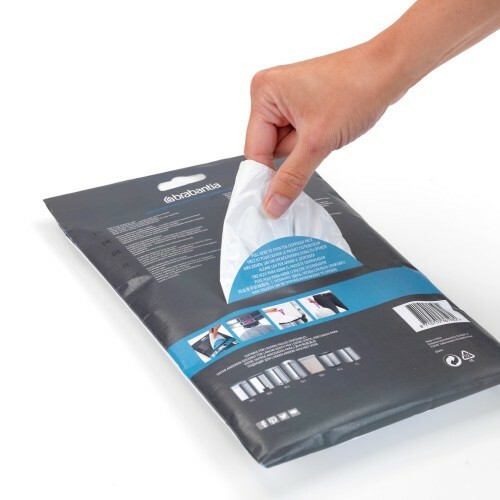 Special ventilation holes makes it easier to insert the waste bag and then when it needs emptying just pull the sealing tape and the bin liner will be removed and sealed. The unique colour coding enables you to find the right bin liner. 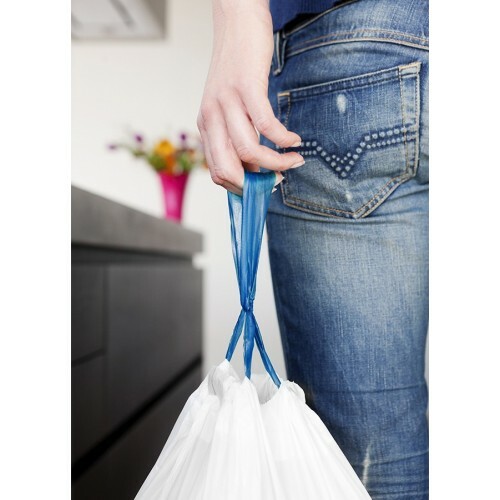 Check the colour code and size letter on the inside of your waste bin and you'll know what size liner bag you need. It really is that simple.